Lisbon (Portugal), March 2nd, 2018 – The Government of Portugal and Cisco signed a memorandum of understanding (MoU) to accelerate country digitization. The signing followed a meeting yesterday between Portugal's Prime Minister António Costa, Cisco Chairman and Chief Executive Officer Chuck Robbins, and Sofia Tenreiro, General Manager of Cisco Portugal. Over the next two years, Portugal and Cisco will cooperate to capture opportunities presented by a digital economy, with the aim to positively impact economic growth, education, innovation, and competitiveness as well as social inclusion and quality of life. The MoU will focus on several key points that are part of Portugal's National Reforms Program. These include support for entrepreneurship and business innovation, with a specific focus on start-ups; increasing and improving digital skills; the application of innovative digital technologies across public sector services, education, Industry 4.0, mobility; and cybersecurity. Entrepreneurship and digital innovation: Supporting tech start-ups is one of the main pillars of the government's digital strategy. Cisco will continue the collaboration with Startup Portugal in priority areas such as security, mobility, and Internet of Things. Cisco also intends to evaluate support for other start-up programs and provide local start-ups with access to its European Venture Capital initiative and Incubation program to help them accelerate their business and expand internationally. 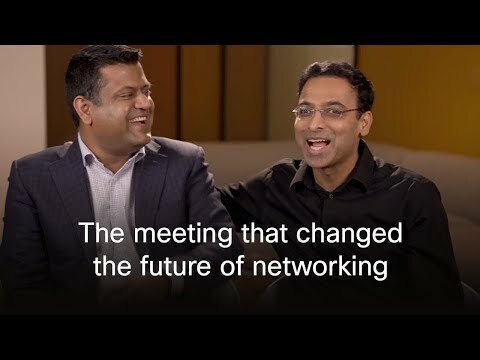 Digital skills and smart education: Cisco will use its proven Cisco® Networking Academy® (NetAcad) program to provide training for digital skills, with courses focused on next-generation networks and cybersecurity. Cisco and the Ministry of Education will evaluate the use of NetAcad content in secondary schools, and there is an objective to reach other organizations and people above the age of 45. The goal is to increase the annual number of students from around 3,000 currently to 7,000 by 2020. Furthermore, Cisco intends to help the Ministry design smart campuses and the digital school of the future to optimize study environments. Connected government and public services: digital transformation of the Public sector is a priority for Portugal's government. The partnership includes working with several ministries, with a focus on public administration modernization, health, justice, and defense. The aim is to create highly secure platforms that will help enable extensive government collaboration and digital services, thus increasing efficiency and flexibility and reducing costs. Industry 4.0 and mobility: Portugal's government launched a four-year Industry 4.0 plan to capture the benefits of digitization in strategic sectors. Cisco will support this plan by focusing on tourism, transportation, cities, and regions. The goal of this pillar is to improve services to citizens, visitors, and businesses, as well as to help competitiveness and operational efficiency. Cisco also intends to work with Turismo de Portugal to take advantage of Wi-Fi with analytics to improve experience and services and attract more visitors to the historical centers in Portugal. Cooperation in specific EU programs such as WiFi4EU to improve public wireless services is also planned. Cybersecurity and digital infrastructures: Securing critical infrastructures, information systems, and online services against cyberthreats is a government priority. Cisco intends to collaborate with ministries and other entities such as Gabinete Nacional de Segurança to help ensure safety and privacy in critical national infrastructures. Cisco will help to design and consolidate national digital infrastructures as the platform for driving innovation, automation, and security across ministries. António Costa, Prime Minister of Portugal: "By accelerating the national digitization agenda, Portugal can increase GDP growth, create jobs, and improve digital inclusion for our people and businesses. We strongly welcome Cisco's contribution to create a sustainable innovation ecosystem that will enable our country to better compete in the global digital economy." Chuck Robbins, Chairman and CEO, Cisco: "Cisco is proud to partner with Portugal's government, businesses, and citizens in their commitment to digitize the nation and become a European leader in digital transformation. We are committed to helping accelerate the Portuguese ecosystem of talent, entrepreneurship, and innovation that is key to creating a digital Portugal, and can bring even greater value to the country." Sofia Tenreiro, General Manager, Cisco Portugal: "Cisco Portugal values the opportunity this agreement represents and is fully committed to work with the innovation ecosystem, including public and private organizations, schools, and academia, to accelerate the national digitization efforts. Our goals are long term, and we want to play a significant role in the growth and competitiveness of the country." Cisco, the Cisco logo, and Networking Academy are registered trademarks or trademarks of Cisco Systems, Inc. and/or its affiliates in the United States and certain other countries. All other trademarks mentioned in this document are the property of their respective owners. The use of the word partner does not imply a partnership relationship between Cisco and any other company. This document is Cisco Public Information.